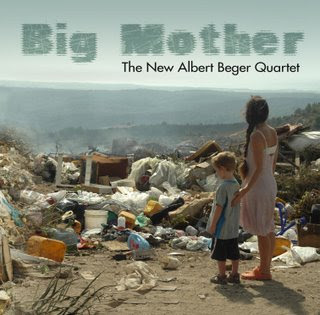 The cover of Israeli saxophone player Albert Beger's Big Mother captures your attention immediately. Yinon Tubi's photos of an anonymous, depressing rubbish dump frame Beger's love cry on behalf of all mothers, a conceptual six-part suite that calls us to action before it's too late. The new work challenges Beger, who usually opts for shorter compositions that emphasize his abilities as an improviser and his close interplay with his partners. Most noteworthy, these have included bass player William Parker and drummer Hamid Drake, with whom he recorded Evolving Silence, Vol.1 and Evolving Silence, Vol. 2 (Earsay, 2005 and 2006). This time Beger has chosen to focus on the collective qualities of his new quartet.